The Lobster. Absurdism to the max. 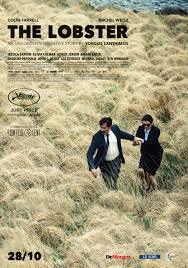 Winner of the Prix du jury at Cannes this year ‘The Lobster’ is Yorgos Lanthimos 4th film. I can’t really recommend his debut ‘Kinetta’ (2005), it’s for completists only. His second film ‘Kynodontas’ (Dogtooth) (2009) was one of my favorite films of that year. It tells the story of over-protective parents that keeps their children in complete isolation from the rest of the world and was a surprise nominee for the Oscar for best foreign language film. In recent years one of the 5 nominees in this category is being chosen by a specialist panel which explains why films like Rithy Pahn’s ‘The Missing Picture’, ‘Rundskop’ (Bullhead) and ‘Dogtooth’ -which are not your typical Oscar material- ended up being nominated. His previous film ‘Alpeis’ (Alps) (2011), where people who are grieving rent a replacement for their recently dearly departed, was perhaps more interesting than really good. The Lobster also has an interesting original premise made up by Lanthimos and Efthymis Filippou, his fixed co-writer since ‘Dogtooth’. Single people have 45 days to find a partner in some kind of a special resort. If they do not find anyone within that period of time they turn into an animal, be it an animal of their own choosing. David (Colin Farrell) has chosen to become a lobster in case things don’t pan out. Completely absurd, but the film plays out this premise as straight as you can imagine and the entire cast gives a bravura deadpan performance that would make Buster Keaton jealous. Besides Farrell, you will notice Rachel Weisz, John C. Reilly, Ben Whishaw, Léa Seydoux, Michael Smiley (for all you Ben Wheatley fans out there) and Lanthimos regulars, the greek actresses Angeliki Papoulia and Ariane Labed, who are all in perfect sync with the films special tone. I could go on for quite a while giving examples of how hilariously absurd this movie is but the less you know about it the more there is for you to discover and enjoy. If you like this film and its absurdism and you’ve already seen the entire Monty Python catalogue many times over be sure to check out the films of the french director Quentin Dupieux, ‘Rubber’ (2010), ‘Wrong’ (2012), ‘Wrong Cops’ (2013) and ‘Réalité’ (Reality) (2014). He even maxes out the absurdity of the above mentioned bunch in an increasingly cinematic way. The ending of ‘The Lobster’ (don’t worry, no spoiler alert) is remarkably similar to that of ‘Dogtooth’ where both main characters are left in front of a mirror and a washbasin with a ‘painful’ decision to make to be able to move on within the logic of the said films. < Previous Beasts of No Nation – A Netflix Original Film. The beginning of the end of theatrical releases? Next > Saul fia (Son of Saul). Hungarian Holocaust drama. Focussing on the unfocusable.